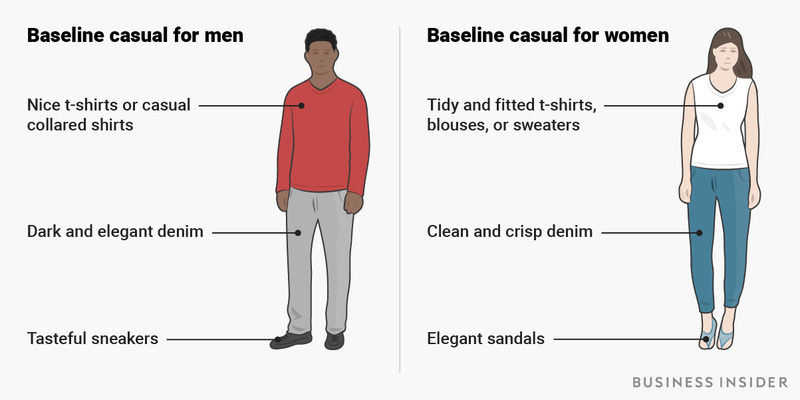 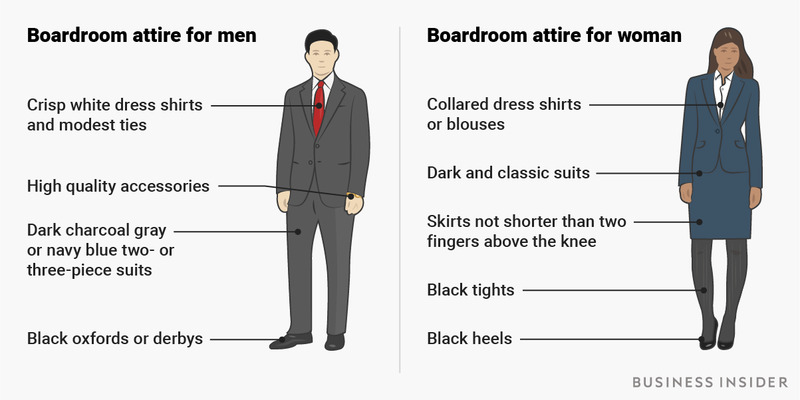 The graphics below were created by our colleagues at Business Insider - but the actual tips are the tailorwork of Sylvie di Giusto, founder of Executive Image Consulting. 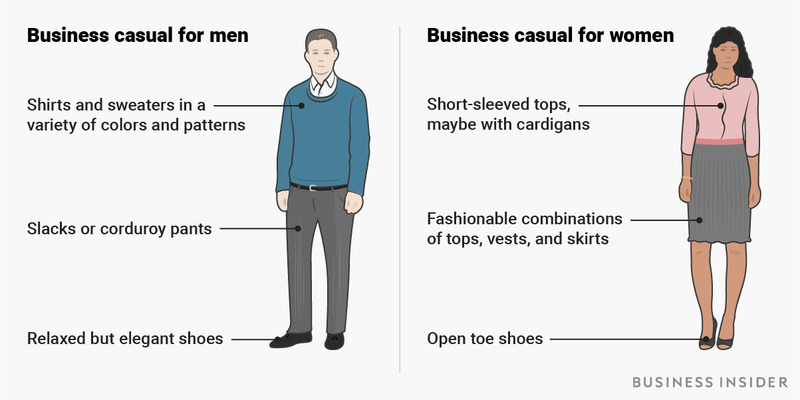 Simply put, they break down what to wear if you want to impress your clients and/or manager with individual suggestions for men and women. 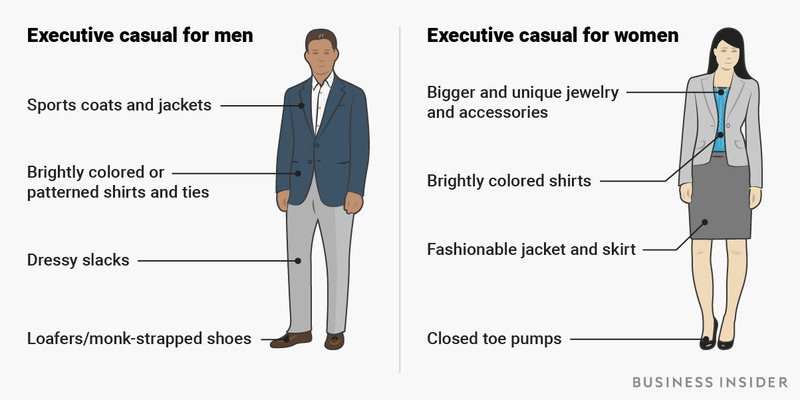 It's a shame that this guide doesn't include women's clothes that have pockets, allow women to easily run when they want to or sit comfortably with their knees apart. 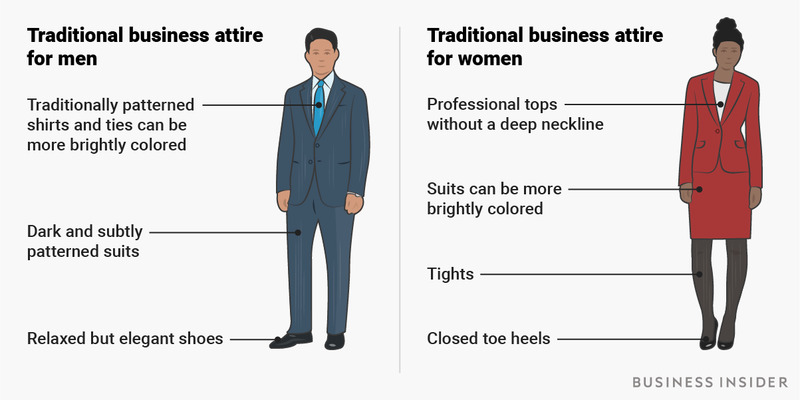 Telling women that they have to wear tight skirts and high heels is an old fashioned view of the world and there are lots of other options out there.